Length: Open - 3.57" Closed - 3.803" NOTE: Cap does not attach to back of pen body. NOTE: Chain is for display purposes only...not included! Match it to your favorite chain or ribbon. over greasy surfaces, underwater, even in Space if you're headed in that direction. Color Coordinate it with a select Ribbon to go with that special outfit. or to look just right for that business meeting. The 350CN Open and ready to write. 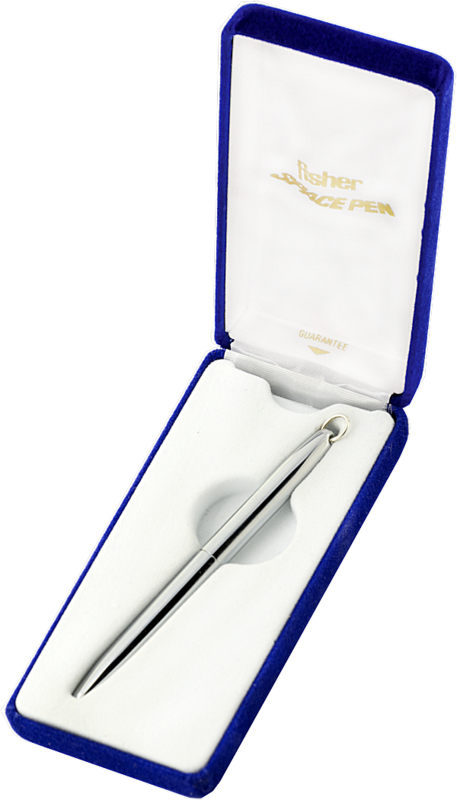 the Fisher Bullet Space Pen continues to be our most popular pen.